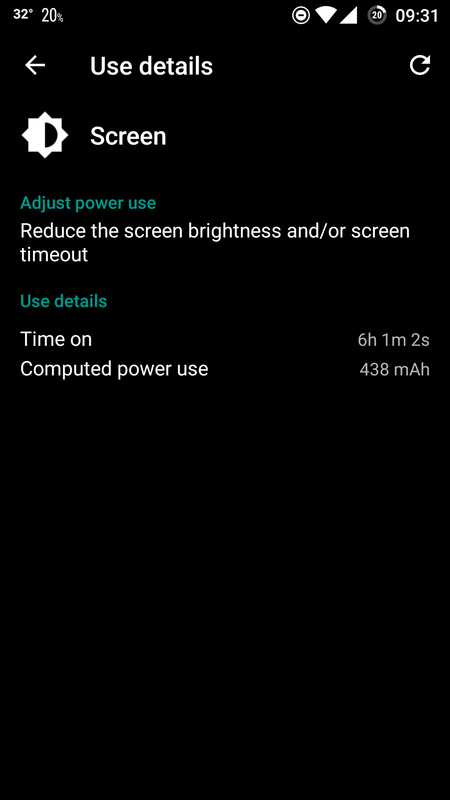 This page is dedicated to the HighOnAndroid SOT (Screen-On-Time) Battery Test. What is HighOnAndroid SOT test? This is a test that tests your Android smartphone/tablet screen-on-time. The display is usually responsible for a majority of your power consumption so by measuring screen-on-time, you will be able to get a good idea of how long the battery will last. Many screen-on-time reviews online are pretty much inaccurate as they don’t use controlled environment plus everyone uses their phone differently. Unless we can actual repeat the exact same tests, screen-on-times are meaningless. So, we created the “HighOnAndroid SOT Test” where the screen is set to middle brightness to 300 lux on light meter (new tests since Dec. 2015 use the light meter to make sure all phones have equal brightness instead of using the phone’s middle brightness) and WiFi turned on but everything else (such as GPS, bluetooth, NFC) turned off. We test the phone on WiFi since having your phone on 4G LTE may skew the test results as 4G LTE can vary greatly on your signal and speeds. We put the phones on airplane mode. For the test, we use the YouTube app to playback videos on 1080P continuously. A 1080P HD YouTube video playback also allows us to test the average CPU time as it requires some HD decoding from the processor, you can consider this somewhat between heavy gaming and light web browser, in essence “an average” of things we do on the phone. And also by streaming YouTube video, we can include internet connection, which is vital to everyday usage. A test without internet connection is useless as that’s like testing a phone that is turned off. Overall, these screen-on-time results will be slightly higher than real normal usage (we think) but it is definitely a great test to compare phones in a controlled environment. If you want to do the HighOnAndroid Test on your Android device, simply put your screen brightness to 300 lux, turn off any power saving features (as we are not testing that), turn on Airplane mode, turn off everything except WiFi, and replay a YouTube playlist using the YouTube app (in 1080P HD for quality) that’s long enough to do the test (we used our HighOnAndroid Unboxing Playlist which is around 12 hours long total but you can use any of your favorite YouTube playlists). No big deal but you made a little typo as the longest lasting is the s5. Thanks for the test. You planning on doing any of the lg phones. I’d personally like to see how they all compare to my g2 but even a g3 would be nice. My g2 can last for 6 hr 20 minutes with 30% battery to go. Custom rom of course. What Rom/Kernel combo are you using? I’m currently on CloudyStock with Dorimanx Kernel. Yep, my wife got LG G2. With 50% battery, we can watch 3 1080p movies, each about 90 minutes duration. Well done, LG! Seems like cell coverage changes these results a lot. eg. Note 3 lasts half as long as OPO where I live (bad signal) CyanogenMod kernel seems to be Smarter than Samsung? Would love to see results for the Galaxy S6 Edge. Actually a video with the Edge vs S6 SOT would be great! Nice, you guys should build a more comprehensive database. Sorry, “50%” isn’t controlled at all, thus your results are also meaningless. eg, 20% brightness on one phone might the same level of brightness as 60% on another. You need to put displays at the same brightness measuring lux or nits on a white background. Yamado’s got a point and also a good one: if you want to be “better” than the others out there with their inaccurate tests, you should make sure that all use the same variables as much as possible. Also, I would kinda create a weighed evalutation: a €700 phone with as much SOT as a €200 phone is either a bad €700 or a damn good €200. Keep up the good work nevertheless! p.s. if you will publish the results of our phones I will most definitely perform your test on my OnePlus X in order to increase your database (although I guess you kinda stopped updating it). There are smartphones like the Innos D6000 with 6000mAh battery. It may be interesting to see what results you obtain with those. There will also be the Oukitel K10000 with 10 000 mAh battery. You should add Asus Zenfone Max, which has 5000mAh, to your tests. Remember to upgrade to Marshmallow first. Also, you may try to test OnePlus One on CM13 Marshmallow too. ?? I barely can have 3 hours SOT on Note 5! What magic have you done? I get between 7 and 8 hours. Right now after I did a lot of surfing, 2 hours of youtube, used the phone over one day and I have left 20% battery having over 6 hours of Screen On Time. The proof is the picture below. I have Oneplus 3 and get easily between 7 and 8 hours SOT usually. So far is the best phone I got. My previous Samsung S3 lasted just little more than 2 hours, so the time is triple now. And what performance! Fantastic! My S6 Active hit 5 hours with 51% and 10 hours and 20 minutes at 3% battery. I am really proud of that. when you post S8 and S8+ lg g6 all new phones SOT? Hi I have bought this 17 day phone but still OEM LOCK is not active developer options open but do not look why?